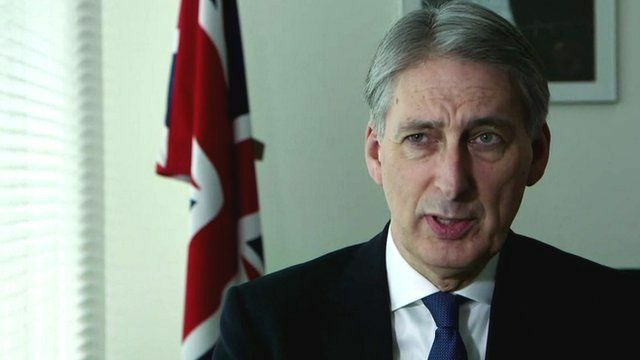 Philip Hammond: 'No perfect solution' in Syria Jump to media player Foreign Secretary Philip Hammond tells the BBC's Barbara Plett-Usher there is unlikely to be ''a perfect solution'' in Syria, but says ''everybody wants to make progress''. UN Security Council backs peace plan for Syria Jump to media player The United Nations Security Council has unanimously adopted a resolution backing an international peace plan for Syria. 'Syrian people have suffered enough' Jump to media player The UN Security Council has unanimously adopted a resolution outlining a peace process in Syria. Syria's future as Arab Spring marked Jump to media player The BBC's chief international correspondent Lyse Doucet, who has covered the civil war in Syria since it began, looks at what the future holds for the country. The UN Security Council in New York has unanimously adopted a resolution outlining a peace process in Syria. Foreign Secretary Philip Hammond told the BBC's Barbara Plett-Usher there was unlikely to be ''a perfect solution'' in Syria, but said ''everybody wants to make progress''.